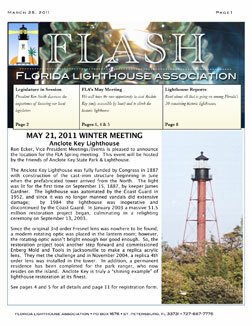 The Florida Lighthouse Association publishes its FLASH Newsletter three times a year. Members automatically receive this by mail. If you would like to submit an item for the FLASH newsletter, please email President@FloridaLighthouses.org.